We would love for you to use our building for your next event! Not only do we have multiple large rooms available, but we also have a gym and full service kitchen. Tables and chairs are available to rent upon request. All rooms are equipped with technology. The pictures below highlight some of our spaces for rent. Contact Kirsten Streit-Harting at kstreit@ppchog.org for more details. In addition to a space for sporting events and games, our gym can hold special events such as weddings, large meetings, and parties. 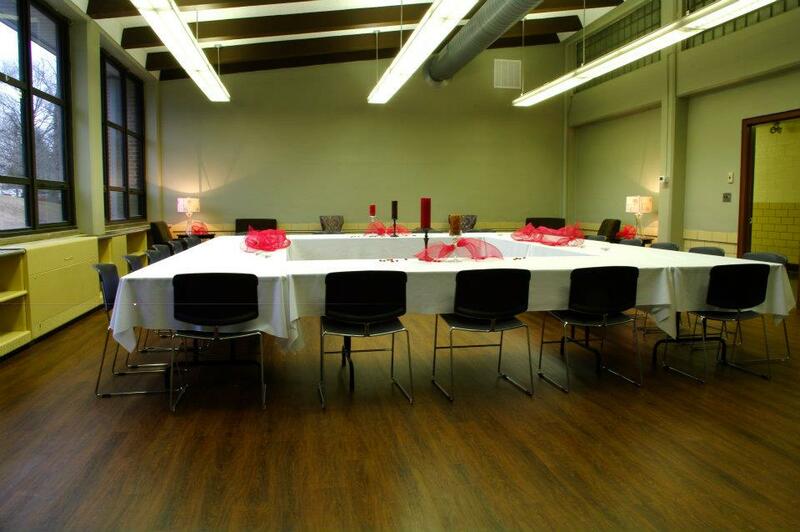 Our community room is a multi-purpose space that can accommodate trainings, birthday parties, dinners, baby showers, and more. Included in the rental fee is wifi, use of decor items, and serving ware.